For those who don’t know, I work in junk removal and I’m allowed to keep what I find. 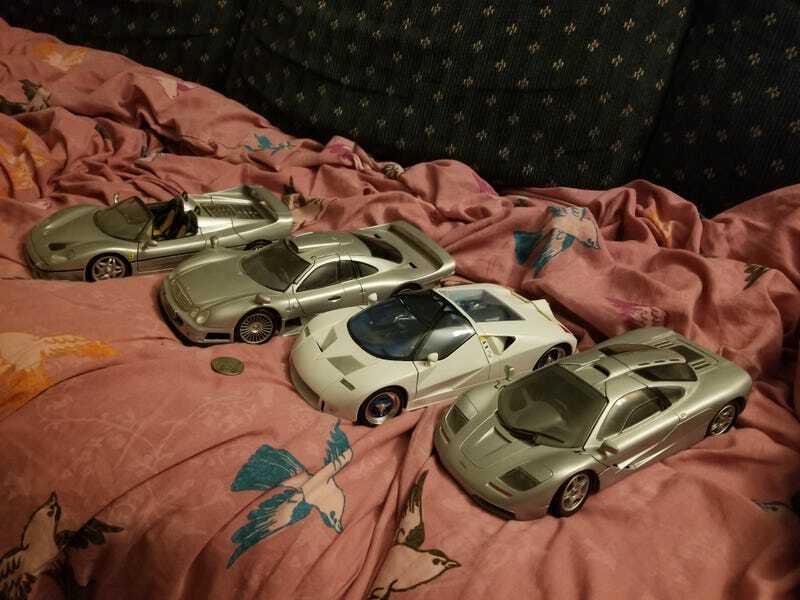 The other day, I got a few awesome model cars! They’re all 1/18 Maistos and they were all freeeeee! There were a couple others I didn’t take, too, but they were all broken.